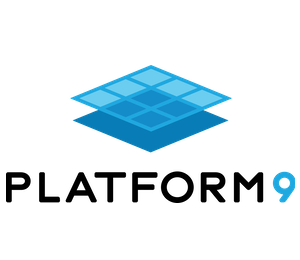 Cloud Computing is the use of thousands of off-site servers, storage and networking to meet modern compute scalability, resourcing, cost effectiveness and time-to-deploy challenges. Cloud is the model that allows today's tech industry to thrive, has made consumer-scale possible, and increasingly allows all sizes and types of organisations to exhibit agility as never before possible. 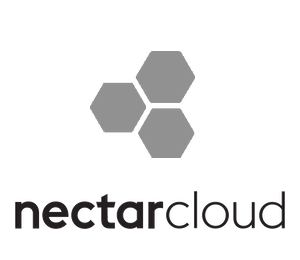 CloudTime is Intersect's umbrella name for a range of Openstack cloud deployment models, including private, public, and community offerings. The on demand availability of computer system resources, especially data storage and computing power, without direct active management by the user. The term is generally used to describe datacentres available to many users over the Internet. Large clouds, predominant today, often have functions distributed over multiple locations from central servers… Clouds may be limited to a single organisation (enterprise clouds) be available to many organisations (public cloud) or a combination of both (hybrid cloud). Cloud computing relies on sharing of resources to achieve coherence and economies of scale… The availability of high-capacity networks, low-cost computers and storage devices as well as the widespread adoption of hardware virtualization, service-oriented architecture, and autonomic and utility computing has led to growth in cloud computing. As with any disruptive technology there is now a growing and confusing array of cloud computing providers and virtualisation capabilities; and not all clouds are created equal. Intersect members and customers, particularly researchers, generate some of the most demanding workloads, especially driving new developments in GPU computing. However, the IT knowledge and experience gap continues to widen for cloud computing consumers. This is what motivates Intersect as consumer, supplier, aggregator and broker of cloud services; activities we collectively call CloudTime. We operate over 4200 NSW and 35,000 nationally distributed computing cores of x86 Openstack, tuned to the needs of researchers, partnering closely with the Australian Research Data Commons. Intersect has an exclusive relationship with Platform9.com in Australia and New Zealand and also leverages relationships with Microsoft Azure, Amazon AWS, and Google Cloud platforms. Intersect cares about this complexity so that you don’t have to. Our TimeLord system provides fine grained accountability down to the project code and individual responsible for each workload. Openstack supports quotas and expiry limits for CPU, memory and storage. And Platform9 allows Openstack flexibility, APIs, simplicity and governance for compute resources on- and off- premise, and hybridised across global clouds. A national collaboration to provide large-scale community cloud computing infrastructure to Australian researchers. Platform9 – Platform9 cloud-as-a-service combined with BYO compute resources on any cloud, including AWS, Azure, GCP, bare metal and VMWare on- or off-premise. For guidance in selecting the most appropriate CloudTime service for your project, or any other kind of help or advice assistance in requesting or configuring an allocation, please visit help.intersect.org.au or email time@intersect.org.au and we’ll hook you up with a cloud specialist.